What happened to Amiga after Commodore demise in 1994 you ask? Many left the Amiga scene, because they thought that Amiga would die without a mighty company helping out. But that never happened! The Amiga community love for the machine stood by the visionary home computer and boosted lot of life in it thru discussions, software and hardware creations. Third party companies like phase5 and Elbox moved all Amiga’s into unknown dimensions. Phase5 released 68060 and even PowerPC accelerator cards. Elbox released PCI upgrade solutions for Amiga, and they sort of formed Amiga to become a better home computer in a time when no one owned it. Only in small moments, ESCOM and Gateway 2000 gave some hopes. But their flame went out too fast, so yet again. Amiga users had to fight for their interest and existenz. Some of the most known Amiga-only 3D FPS games were released in years after 1994. There are lot’s of them including Doom ports from the open source releases by ID Software. However, there was also made Amiga only 3D FPS games that were even made too advanced for 68060 to even handle correctly. One of them was made by Team 17, which released their sequel to Alien Breed 3D in 1996 (the same year as Quake got released). 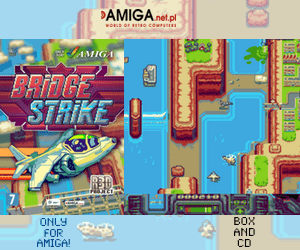 This Amiga-only 3D FPS game introduced 1×1 gaming, transparent water, lightning effects, rotating map and awesome guns to the game. All of this features was put into a beautifully created 3D FPS world with monsters so hard to hit because of low FPS issues. Yes, even on a 68060 50MHz which was seen as the top thing to get for the Amiga at the time it got released this game was too heavy made. It means that 18FPS is what you could reach on 50MHz 68060 if played in fullscreen. The effects in this game is way more advanced than those in Quake even in software 3D mode. Here you have totally transparent water effects as in Alien Breed 3D (which was released earlier with 2×2 only mode! ), lighting effects and sound effects that should have flip you of the chair at that time. But because of the framerate, you had in decrease the window to get a better framerate. The game sort of lost the atmosphere because of it’s framerate. But now…! With 68080 Vampire cards with SAGA this game plays very smooth as seen on the video below. Yes, you need the new GOLD3 release to be able to run it in AGA mode. 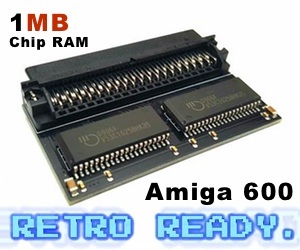 However, there is a RTG patch on Aminet that lets you run it thru SAGA which already works on Vampire V2 cards for Amiga 500 and Amiga 600. As you can see. This framerate is better. It looks for me as if it is above 30FPS at least. I’ve been testing the Alien Breed 3D The Killing Grounds RTG patch on MorphOS and it looks as if the speed is the same. The gameplay is way better and all in all this game now out of sudden can be played at decent FPS rate. Some will argue that 60FPS for a 3D FPS game is something that you need to have. But many Playstation 3 and Playstation 4 games have set their games to 30FPS without me complaining. The conclusion to this is that, now with Vampire reaching to most of Amiga users and even also going to be released as a standalone one. 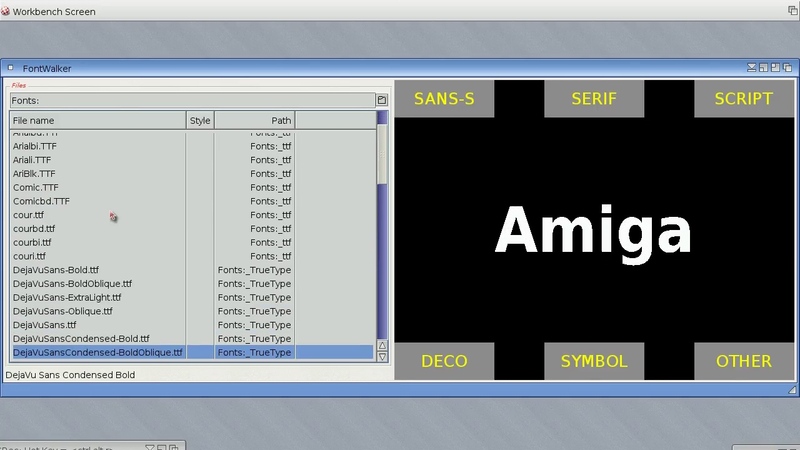 Classic Amiga have a nice comeback. Doom, which was never given a official port to the Amiga runs at around 30FPS on 68060, so playing it on a 68080 Vampire Amiga is even better! So, as you see. 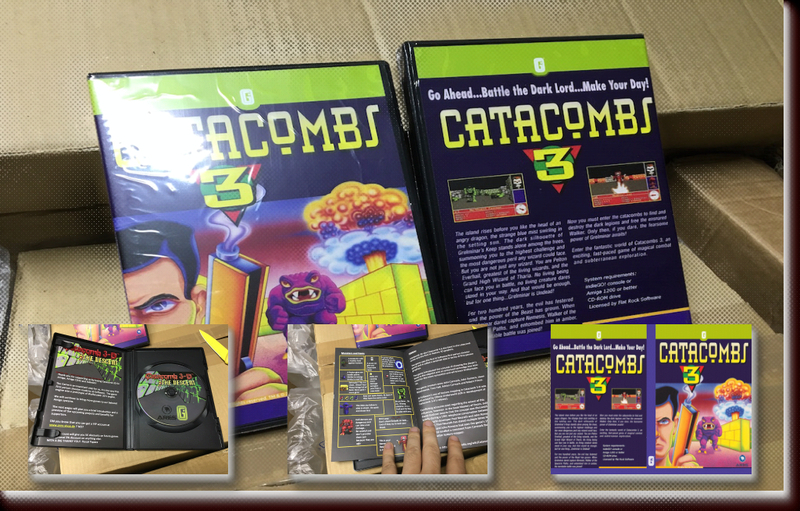 Here we have only taken you thru some of the 3D games that was released for the Amiga. There are many more and we will look into them much more, once we have a Vampire card installed in one of our Amiga’s at Distrita office in Oslo. With Vampire V4 approaching release by the amazing Apollo Team. We will give lot’s of new info about it’s performance, features and we also plan to give you a full installation guide too.